In Bishop Shawn Diamond put up a new terrifying looking V11 highball called Luminance, Alex Johnson climbed Evilution (V10) to the lip, Matt Wilder climbed the highball Evilution Direct (V11) and Tim Clifford and Matt Wilder both repeated The Swarm (V14). 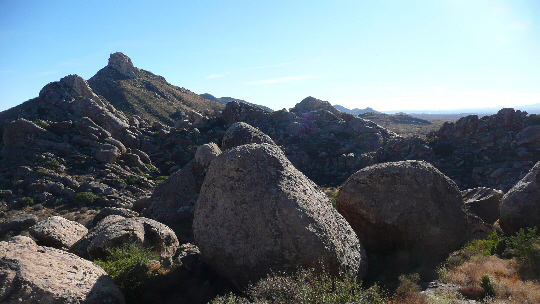 Matt Segal has been exploring the bouldering potential near Chihuahua, Mexico. Despite a bit of choss he is finding good rock with lots of potential. I can’t say that I understand many of the words in this post from Michael Fuselier on the bouldering in Tuzgle, Argentina, but the pictures look amazing! UKClimbing recently did a series of year in review articles to close out 2008. 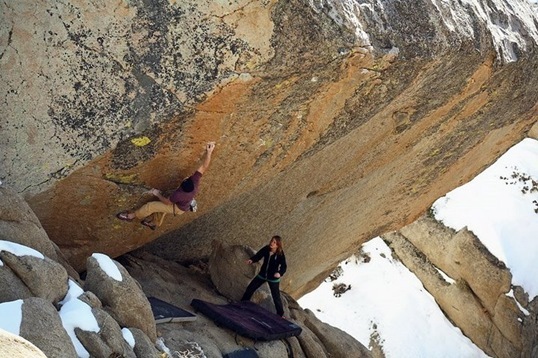 Of particular interest to my audience would be the bouldering article written by Ty Landman. There were also reviews done for sport climbing, trad climbing, alpine climbing and female achievements. My Five Ten Camp 4 shoes have been holding up great, but this article on how to reinforce a pair of flagging approach shoes looks to be very helpful if/when your shoes start to wear down. Via Allclimbing & GetOutdoors comes word that the assets for Alpinist Magazine were sold for $71,000. Whether or not that ends being a bargain or a huge rip-off remains to be seen. This story about an accident that took place in Colorado’s Garden of the Gods is another a good reminder that you can’t always trust the fixed gear you find. Congratulations to the Red River Gorge Climber’s Coalition for a hugely successful 2008 in which they raised over $74,000 to help ensure future access to areas like the Pendergrass-Murray Recreational Preserve. It also seems that Matt Wilder did the Swarm. I also think Lizzy and I unknowingly ran into the Minnesota crew shortly before New Years at the Tut boulder. I thought that Matt had done The Swarm before which is I why I failed to mention it. Either way, he’s done it now. Needless to say, all this Bishop action is giving me a serious itch to get out there again! did you think i did the swam, too? did ya? V7 x 2 = Too hard for sockhands?? too LAME for sock hands. sock hands is core. v7s only and forever. militant straight edge of the climbing world… v7s are pure truth. anything else muddles one’s perception and taints the experience of life.